An Aboriginal Contracting Company supplying remote jobs with high quality concrete from stabilised materials to high strength structural concrete. 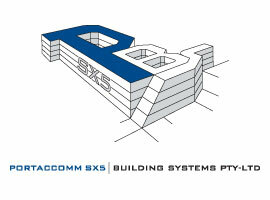 Portacrete ® SX5 currently has a Concrete Batch Plant set up in Pannawonica, WA. We have been based in Pannawonica since 2010 supplying concrete in the town and surrounding sites. 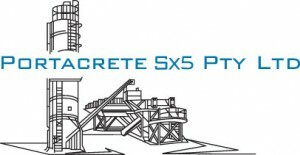 Portacrete ® SX5 started in early 2010 to supply remote jobs with high quality concrete from stabilised materials to high strength structural concrete for structural bridges. Portacrete ® SX5 provides mobile on site concrete batching services with the latest up to date Sami batching equipment from Italy. Portacrete ® SX5 can now produce concrete of all strengths and types from a 100kg mix to 60m3 per hour continuously with accuracy to 99.9%. Portacrete ® SX5 has batching equipment for culvert stabilisation that allows continuous batching and pouring of concrete at a rate of 60m3 per hour. Along with state of the art batching equipment we have all terrain agitators that can either self load or be fed by the main plant. The onsite batching equipment allows us to come in, set up, and pour concrete the same day and be gone the next. Due to the extreme realities of the Pilbara climate, it is necessary to have bigger & stronger structures to withstand the high wind conditions. Portacrete ® SX5’s as a company of the Pilbara aims to meet these high standards with any product supplied to ensure it is compatible to D Region wind ratings. The SX5 Group acknowledges the traditional owners throughout Western Australia and their continuing connection to the land, waters and community. We pay our respects to all members of the Aboriginal communities and their cultures; and to Elders both past and present. PORTACRETE® and CRR® are Registered Trade Marks and are used under agreement.